Your weekly summer hot dog recipe is here. 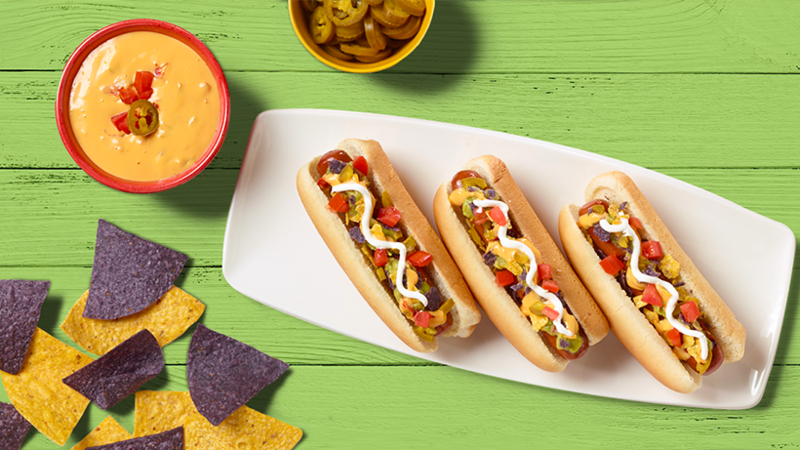 Whip up these Spicy Gwaltney Nacho Dogs for lunch or dinner with a kick. Cook up Gwaltney Great Dogs on the grill, on the stove or in the microwave. Heat up nacho cheese, drain jalapeños, and crush up tortilla chips. Put hot dog in bun and scoop some guacamole on top. Layer on crushed tortilla chips, followed by nacho cheese, jalapeños, sour cream and tomatoes.